Wait, did socks just become the Fall thing?!? It seems that women are incorporating the sock trend into their daily looks with intention and effortless ease for Fall- and I can’t wait! I’ve just recently finished shooting for Olivia Rubin’s pre-fall collection and I styled the gorgeous Sonia Shirt Dress with these silk mink ribbed socks ( similar here) and sandals! Yes, sandals and it worked really well! By allowing a contrast sock to peek out, exudes an effortless chicness and I’m totally digging it. I know what you guys may be thinking, “oh I’m too short!” or “I don’t know how to wear them with a dress or jeans!” Well I got you covered in this fashion memo with a few little tricks, that’s my favourite way to upgrade your outfit (not to mention cheap and affordable!). Expect to see me rocking socks of all different kinds and different lengths all fall long! 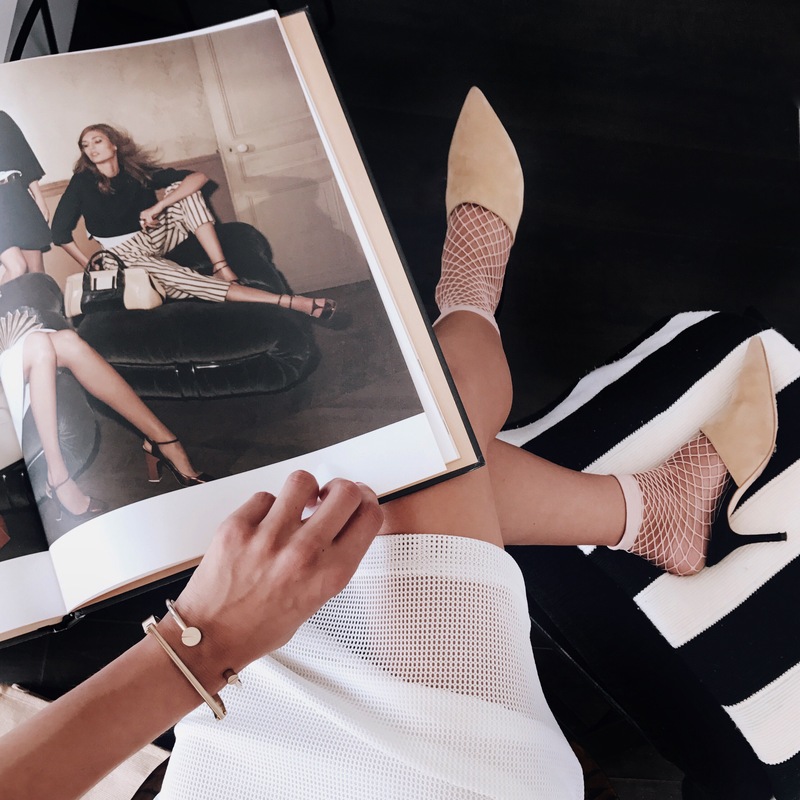 Quick Tip –If you are worried about your legs looking just a little shorter than usual, then offset the look with a micro hemline or if you are like me and like your hemlines a little longer, team your socks with a midi skirt or dress and showing just a slither of skin in between! Last season was all about the fishnet tights, this fall it’s all about the fishnet socks. I manged to get these in black, white and a blush pink , all for under £10.00 from ASOS! I think this is my favourite kind of look, as it goes with anything from dresses to jeans as well as mules to loafers. The french girls also love this trend, and they never get anything wrong, right?! Will you guys be rocking the sock trend? I’d love to hear your thoughts and comments, so drop me a comment and lets share! Thank you so much for your super sweet comment! Me either, just so I can wear socks! these socks and all the shoes are too cute! Yes Yash! Thank you so much and I’m loving your blog so much too! Omg yes! I’m so excited and happy the sock Trend is staying!!!! I loved it last season and i can’t wait to start styling it for the new season! I love all the options you shared! Thank you sooo much Kat! I’m exactly the same, super glad it’s staying and thinking of teaming it with sneakers too! I’ll definitely be rocking the fishnet sock trend, I lovee the edge it gives! That’s exactly why I love it! you could wear the prettiest dress and and these socks will just give it that edge! thank you so much for stopping by, and I love your blog! Basically obsessed with everything in all of the photos you posted, omg!! Thank you So Much Kierra! I’m super obsessed with your whole blog! I’ve been wanting to try this trend out so bad! Thanks for this! Looove this trend! 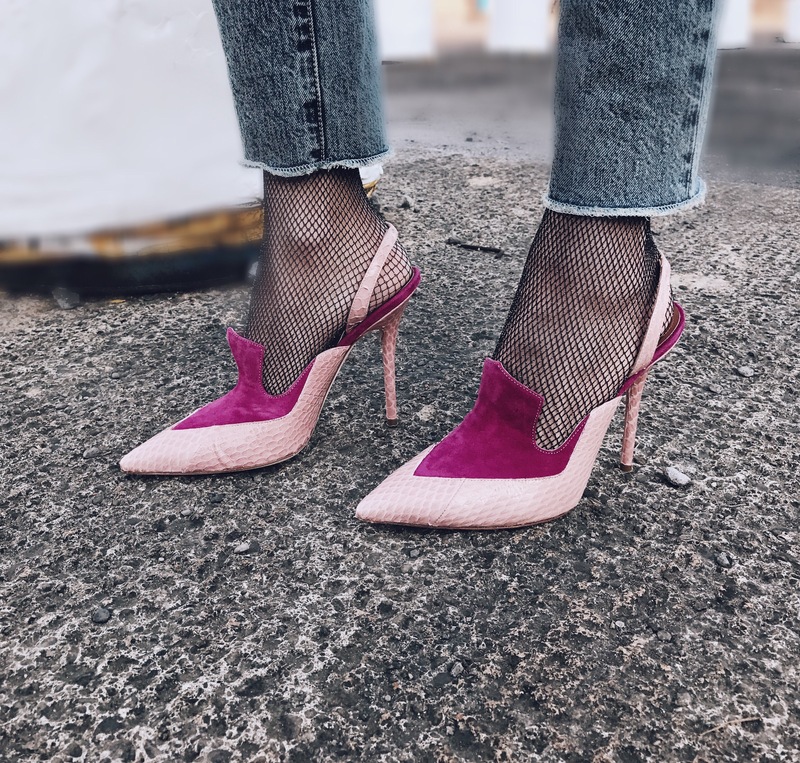 I was wondering the other day if people still wore fishnet socks… I’m glad they’re here to stay!